GSXR.com > Chat > GSXR-Ladies lounge. > The GSXR stereotype !!!! Last edited by viprit; 03-20-2019 at 12:16 PM. I used to think my brother and I just generalized these unfairly when regularly bashing GSXR riders as squids. It seems that we're not alone in this sentiment. So how about it, fellow riders? 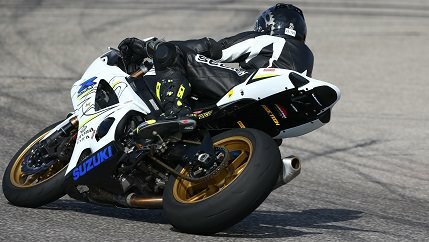 Is the GSXR the unofficial squid mount, or just another sportbike? I have no beef with the bike itself, btw. They're actually well built, competitive machines, and I wouldn't mind having a 750 for a track day weapon. Squids have existed long before GSXR's and do what they do regardless of make of the motorcycle. Stereotypes exist only in the minds of the prejudiced. I know some things about some things but I don't know jack about a whole lot more. Used to be a stigma in my own mind to some degree but they work so well, there's a reason they're popular. The 750 is an awesome track bike. It was the dominant bike for a long time. And, well, haters gonna hate. rv6john, JCW and HydeWhyte like this. The 'squids' in my town aren't biased on what they hooligan around town. If it has 2 wheels, dirt cheap and somewhat runs they're on it. GSX-R, CBR, NINJA or R6 seen them all ragged out and scrappy but run enough for some kid to raise hell on. Starting to see more supermoto's last couple years on one wheel on the streets so those are gaining popularity in the "look at me" groups. Im too old for that mess. I ride Suzuki because they are tough as nails. tigerblade, JCW and HydeWhyte like this. Thankfully the 'squids' around here are more of the 4 wheel drive & ATV types and seem to be afraid of the sportbikes. A common comment is "man those things will KILL you!" I like the meme's and gifs floating around. I'm dead because I can totally see it happening at 6am too.